As a mother of two lovely girls, I treasure the time we spend together. 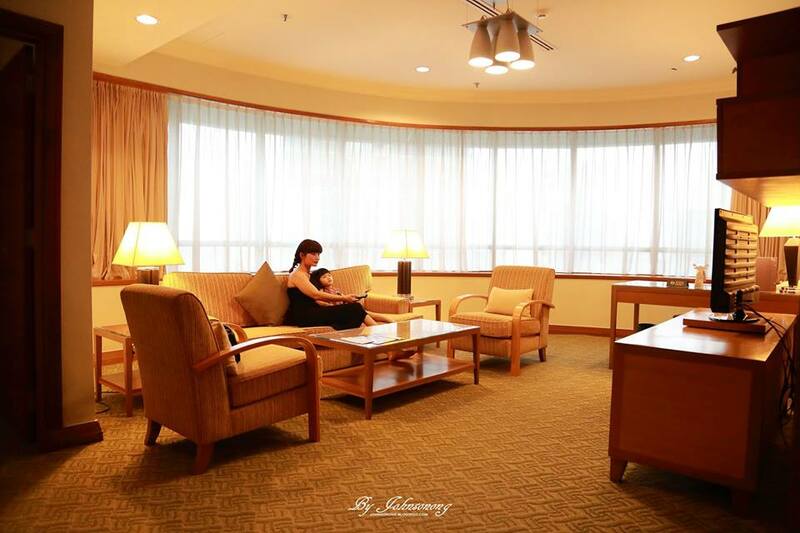 During holidays, we love to go for a staycation with the whole family because it’s the best time for bonding. 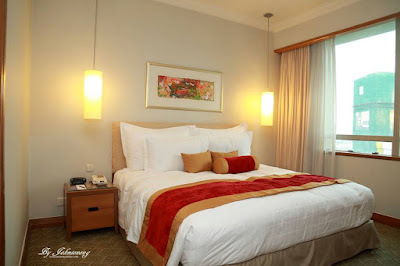 However, it’s not easy to find a hotel suite that can accommodate a family or 4 or more. 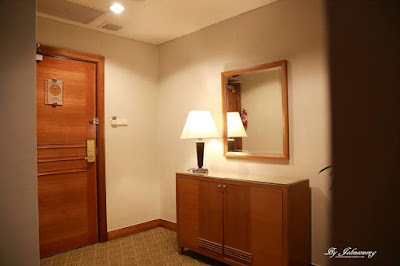 It’s frustrated especially when we are looking for a big space to stay in the heart of Kuala Lumpur City Center. Well, worry no more coz we had a fantastic family staycation last weekend. 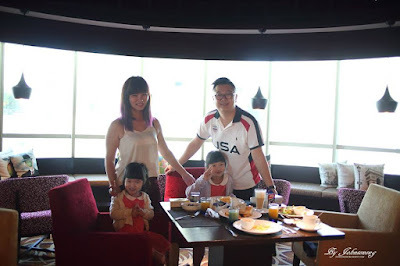 Thanks to the wonderful invitation, my family and I got to stay at the best family suite in the heart of Kuala Lumpur, at Pullman Kuala Lumpur City Center Hotel & Residences (Pullman KLCC). Pullman KLCC recently completed a revamp on its facilities for the residences, which include the 2-Bedroom Family suite, Living Space (The exclusive lounge for residences) and The Zone (Play area for fun, gaming and entertainment). We love the strategic location of Pullman KLCC as it is just a 2 minutes’ walk to Pavilion KL Shopping Center. There are also plenty of complimentary car parks available for hotel guests (just use your room card to access). The security is tight as the lifts are accessible by room card only. Located at Jalan Conlay, the family suite at Pullman KLCC is overlooking the Pavillion Shopping Centre. We checked into Room 1931, and we love the fantastic view from the 19th floor. It’s lovely to watch the people and cars passing by during the rush hour and the empty street in early morning. We did not know it was such a strong contrast in the largest city of Malaysia. 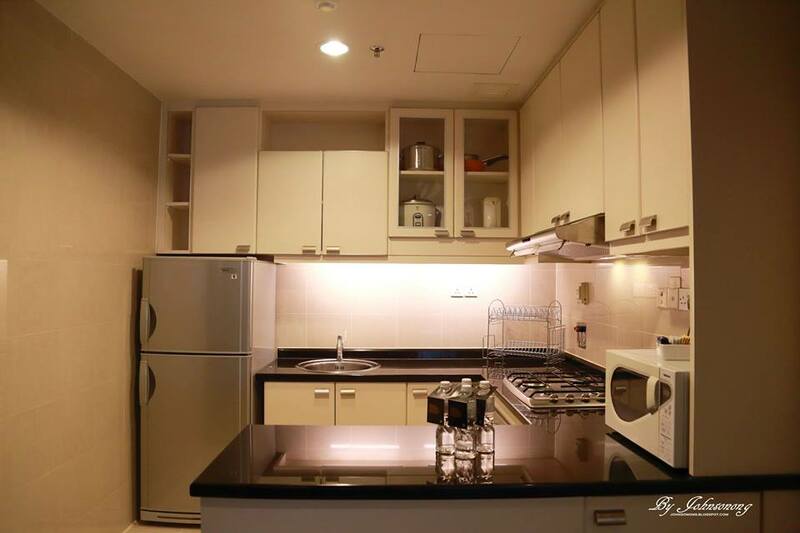 Pullman KLCC’s 2-Bedroom Family suite is very spacious (at 107 square metre). It is furnished with a living room, kitchen, 2 bedrooms and 2 bathrooms. 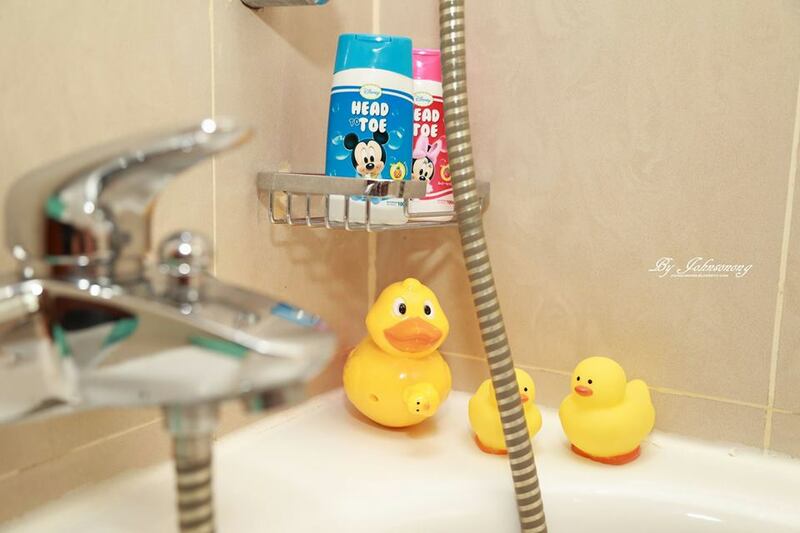 It’s perfect for a family of 4 to 5 for a holiday getaway. We love the bright and clean suite, it made us feel so comfortable and feel like home! Designed to fascinate the children, the kids’ bedroom is decorated with colourful wallpapers, glowing stars, a bunk bed and filled with toys. There is also a Playstation and children’s books available in the room. My children have enjoyed the special welcome amenities a lot, until they don’t want to go home and begged me to stay there forever lol. The 2-Bedroom Family suite is fully carpeted (except bathrooms, kitchen and main doorway) which is safe for young children. 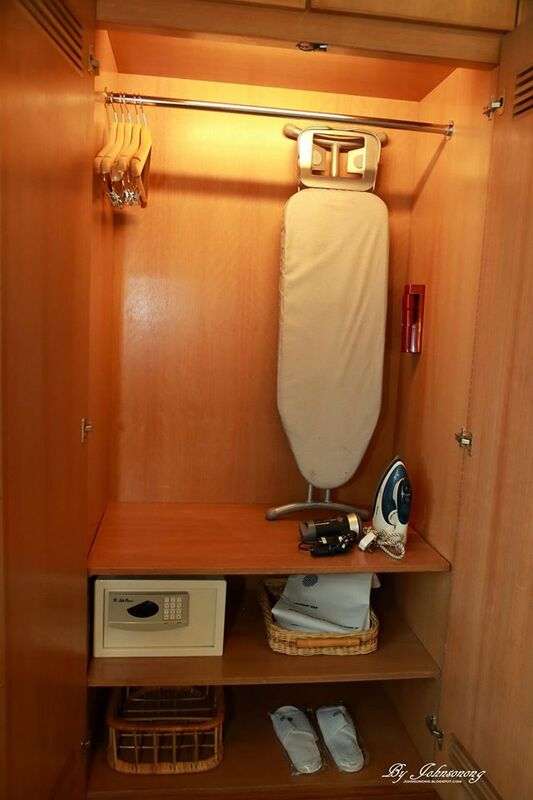 It has full amenities; you could find everything you need in the suite. For example rice cookers, kettler, 2-doors fridge, full set of utensils, Bath robe for the adults and kids, Bath toys, Shampoo, conditioner, shower gel, lotion, soap, emergency torch light, safe, iron and board, slippers, and many more! 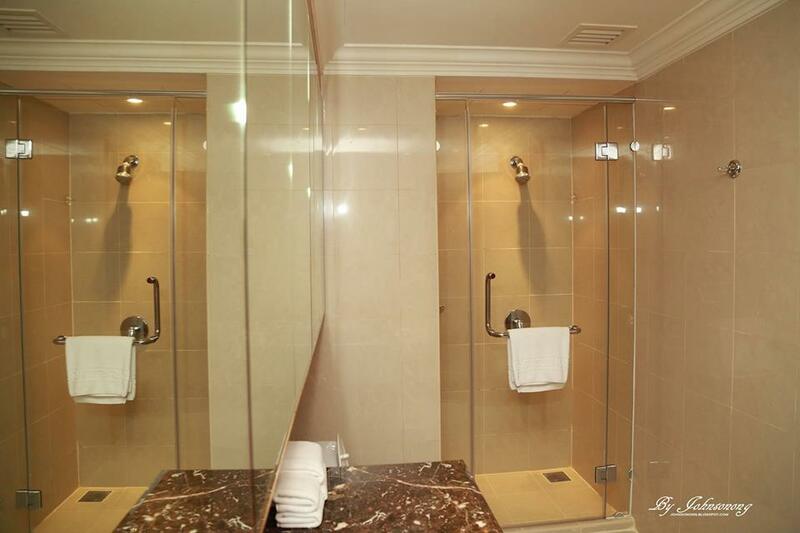 There are 2 bathrooms in the suite, both has their own bathtubs. This is nice as we don’t need to rush while enjoying the hot bath. 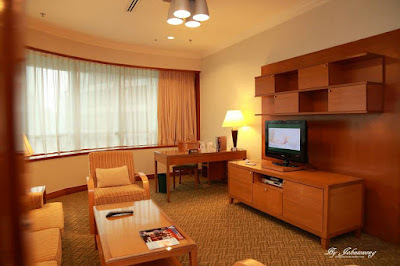 One would not be bored as there are 3 flat-screen TVs in the suite. Each bedroom has their own flat-screen TVs, and one in the living room hence each and every one could watch their favorite channel. Pullman KLCC also provides complimentary in-room high speed wifi plus a workstation. We love that the hotel provides full of facilities and entertainment. Living Space, formerly the Residence Lounge in Pullman KLCC, is now a contemporary chill out area for guests and residences. Set in a contemporary style, Living Space is filled with colourful furniture, and with warm lighting which oozes a certain creative charm making this and oasis for business and leisure travelers alike. Besides serving daily continental breakfast, Living Space also serves complimentary coffee and tea during the day and after a hard day or work or play, it also offers residents a Happy Hour promotion from 5pm to 7pm daily with a 2 for 1 offer on draught beer, house wines and soft drinks. Residents can also enjoy watching movies or live sports in the built-in home theater room whilst snacking on light snacks that can be ordered or even try their hand at self-made popcorn. The former Kid’s club has been renamed and refurbished too. Known as The Zone, it is not a stylish and modern space where fun and entertainment take place. 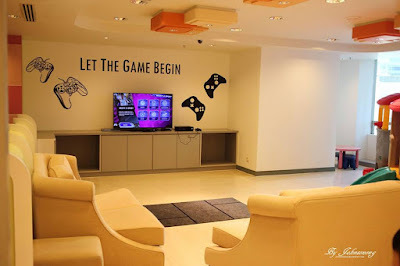 The Zone is equipped with the latest gaming gadgets such as Playstation and Xbox. 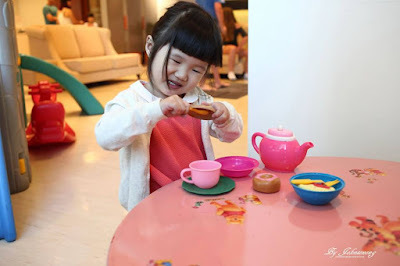 It’s an ideal place for toddlers to teenagers or even adults! The Zone is open daily from 9am to 10pm for hotel and residences’ guests. 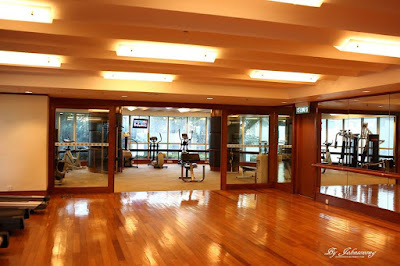 Next to The Zone is a huge fitness lounge, equipped with all the fitness equipment. 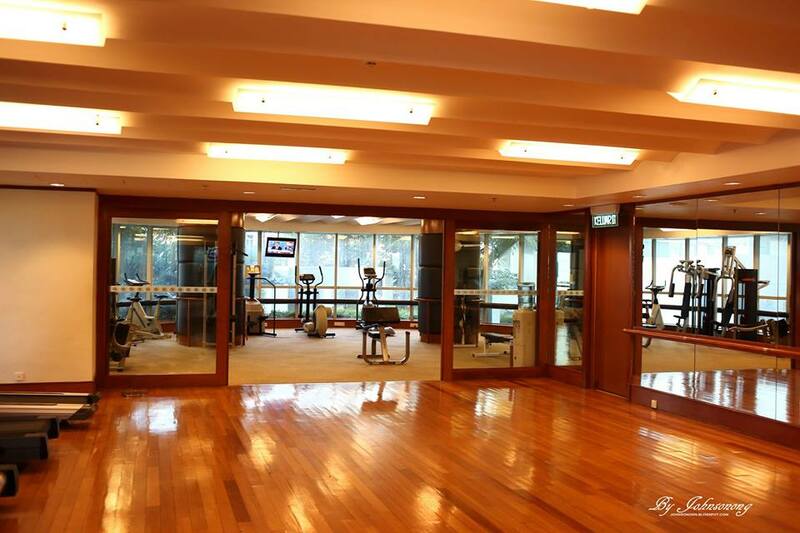 Not only that, there is an adults swimming pool, kids pool and Jacuzzi located at the same level 15. It’s a place my children and I love so much and wish to go back for more. 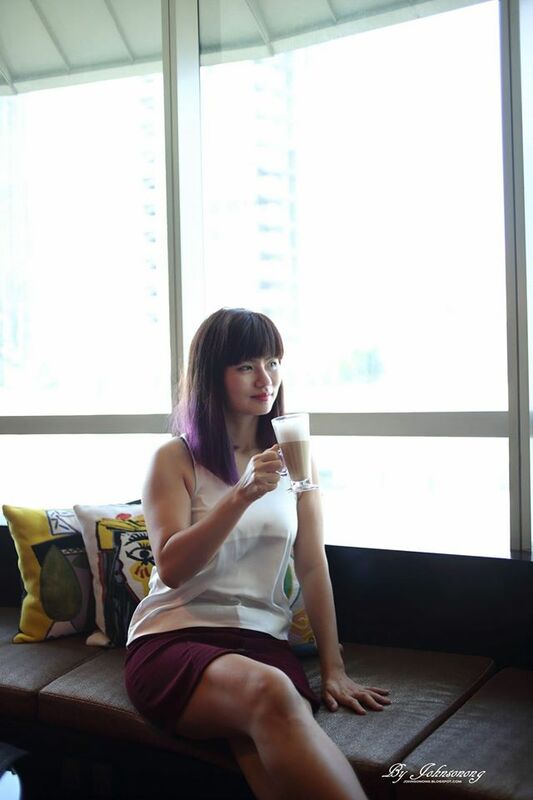 Before we checked out, we have enjoyed our welcome drinks at Mezzanine lounge which offer variety of drinks, from juices to tea and coffee to wine. All of us have enjoyed our drinks in the cool atmosphere. 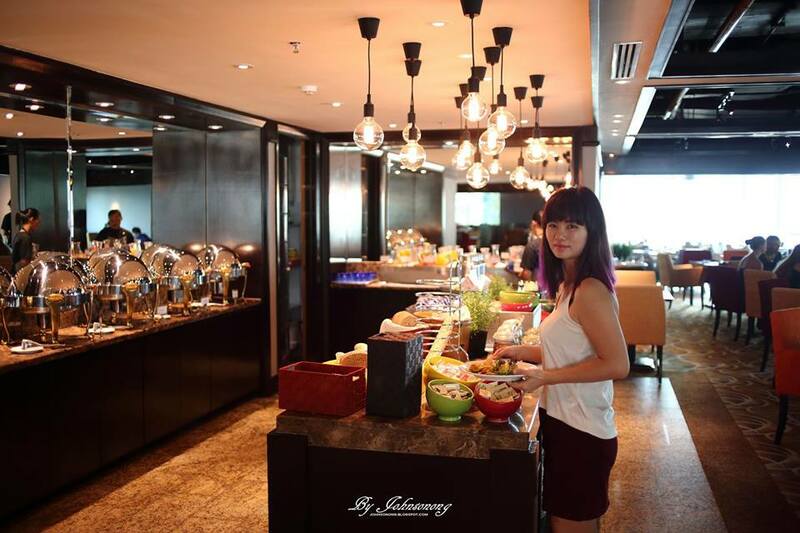 For food lover, the hotel has a few restaurants including Living Space, Eccucino, Enju, Tai Zi Heen that serves different types of finest cuisines. Staying at Pullman KLCC has been an extraordinary experience for our family, we would love to go back for more soon. For more information or room reservations, visit www.pullmanhotels.com/A0C5 or email to reservations@pullman-klcc.com or call +6-03-2170 8888.
enjoyable family day at pullman klcc. sometime really need to have some vocation locally or oversea for enjoy a relaxing lifestyle too! i must arrange a day out with my dear family too! Nice place! I like it so much. The location also very near to attraction. And there's a lot of space and activities for family fun time. Love the staycation idea, family bonding time! And Pullman klcc is located in prime location. Sweet! Nice to see that more and more hotels are starting to attract families and are adapting themselves with their facilities geared towards children. Good post! This looks like a fabulous place to visit. I would recommend it to my friends in the future. Thanks for sharing babe! seems like very good hotel to stay in! dad and i went to stay at backpacker last weekend, and it was horrible. must go to proper hotel next time. How much is the room cost? This is so luxury with such a huge suite for the family. I think can fit more people also. Its like a studio apartment complete with amenities. Ah, I've not been to Pullman KLCC yet. It looks wonderful and I love that it has families in mind, especially those with younger children. Pullman KLCC? I know there is a Pullman in Bangsar but this is the first time I am hearing about Pullman in KLCC area. It looks really classy and nice. Definitely looks like a good place to stay with family during holidays. We wanted to go to Pullman for a staycation once too but changed destinations to a more BB/Sg Wang location instead of KLCC location instead. This is perfect if you want to go to KLCC though. I like how the room can fit a whole family too. We bring the kids on holidays every school holiday and I've been trying to find a fun place. They like to swim and they loved Legoland when we went and stayed at the Lego hotel. However, it's hard to find kid-friendly activities in KL and I'm glad to see the The Zone for kids. The kid pool is a nice touch too, many hotels don't offer that now, it's just a full sized adult pool. It looks so gorgeous and love the part that they have kept kids in mind while setting u this suite. The place loos amazing and tour girls sure look like they had tons of fun. Johnson is a great photographer btw.. he always captures your prettiest moments! So huge the suite. Nice place for family bonding. 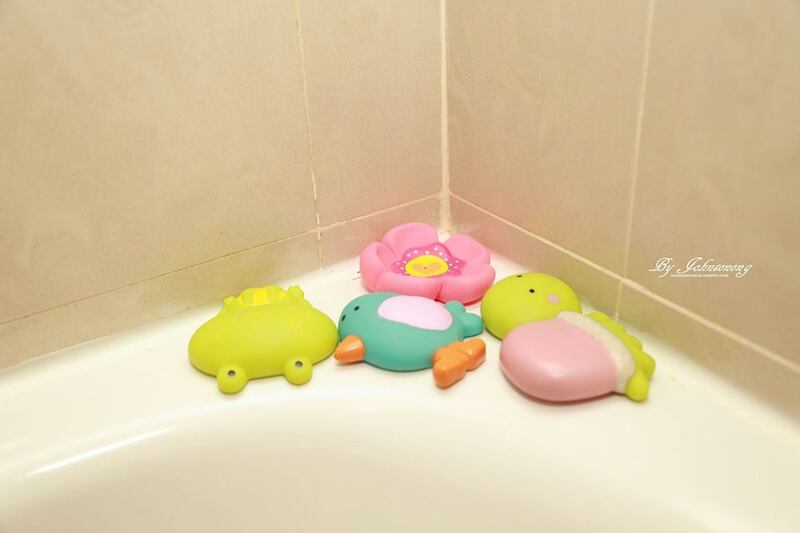 OMG。。。。this is so relaxing and suitable for family! All of you look like you are having so much fun at the hotel! Great that they came out with a kid friendly suite.